Another month over and still no real sign of spring. I’m sure I have sunbathed in March before, in fact I know I have as I remember the window cleaner turning up and looking at me like I was crazy! This month though seems to have been all snow and still blooming cold. It just seems exhausting, the constant dull days and being stuck in the house most weekends. I’m sure our bedtimes are getting earlier by the day. Friday night was 8.50pm, how rock and roll….and that was ourely for sleeping!! We do have the comfiest bed though, so what’s the point in staying up for the sake of it?! If you fancy a great mattress deal head over to Groupon as they have a range of fab offers. Anyway, how was March for us? I’ve had another really good month of training and Mr J actually paid me a rare compliment and told me I’m looking in good shape and a bit bulkier…in a good way! We’ve been training together when we can manage, but I’ve rejoined the 7am club so I can fit in training before work and combining that with working out at home on the days I can’t get to the gym. We’ve not done that much as a family this month mainly because the weather has been so crap. We were meant to be going to the Emergency Services day at Alton Towers which we were looking forward to, but it was cancelled because of the snow so we’re going to go later in the year. Poppy was sent a Toddlebike2 which she loves and even though the weather has been grotty, she’s been able to burn off some steam round the kitchen! We ended the month with a trip to our local Wyevale garden centre for an easter egg hunt and tea which was lovely and then a trip to the circus too! We’ve got quite a bit planned for April and due to visit Swanage in the school holidays so I’m really hoping the weather improves as it was t-shirt weather last year. I’ve had a really good month at work and really enjoying my job and it’s great feeling like I am making a difference. Working 3 days a week is absolutely perfect and I’m chuffed to have had my contract extended until the end of the year. I have to go to the office, near Reading, once a week which isn’t the best commute, but leaving at 5.30 am seems to make it easier. Luckily, there’s a McDonalds’ round the corner where I can pick up a coffee before I get to the office…not so good when they have no hot drinks though. I mean why?! 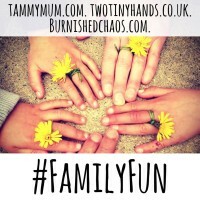 March was a bit quieter on the blogging front, but I’ve had some great support on some of my posts, particularly my really honest post about life after child loss. I also made the jump to a new host this month following advice from other bloggers and so far, so good. All the work I did on broken links did bugger all to my DA which was pretty annoying, but some much needed admin I suppose and at least it’s more manageable now! I’m clearly desperate for spring to arrive as despite saying I probably didn’t need anything for summer I’ve ended up buying new gym wear, shorts and bikinis. ASOS next day delivery is just dangerous, but soooo good! Me and Mr J managed to get out for lunch and a spot of shopping and have kitted the girls out for spring too, much to Ella’s delight who did us a full blown fashion show. Now we just need the weather! So that was our March. Pretty bog standard. It’s gorgeous today!! Makes a very welcome change! !